Fitting in time to go get your meats into your busy schedule can be a large task for some. You may be tempted to buy before hand and keep the steaks either in your freezer if you are buying the steaks for more than a few days in advance or in your fridge if you buy a couple of days in advance. We recommend buying fresh, the day before your BBQ and marinating overnight. 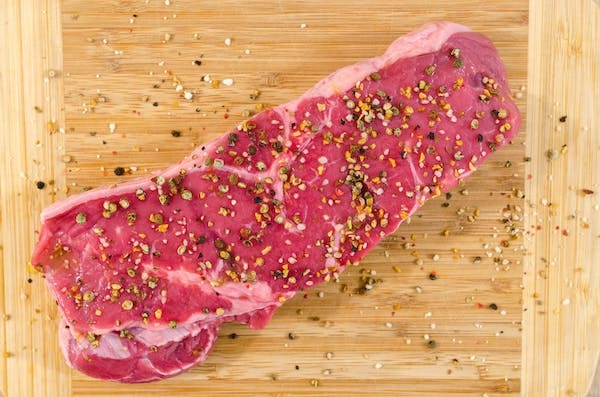 Having to defrost steaks and then marinating them will cost you more time. Letting your steaks marinate in your best steak seasoning for at least 24 hours will allow the seasoning to be absorbed into the meat. Lots of people season their steaks while they are on the grill and most of it simply burns off on the grill itself.